It would follow then that the spontaneous tendency under capitalism which both unleashes primitive accumulation of capital and does not create enough employment to absorb the displaced petty producers into the active army of labour, is to give rise to growing absolute poverty. Such growing absolute poverty becomes, necessarily, a feature of capitalism. The theoretical reason for this, to which a reference was made above, is the following. As incomes increase within the capitalist sector through capital accumulation, the demand for a range of goods which are producible only outside of this sector, on the tropical and semi-tropical land-mass characterized by peasant agriculture, also increases. But since the size of this land-mass is given and is also more or less fully used up, and since land-augmenting measures like irrigation typically require State investment which capitalists are in general opposed to, the increasing demand for such goods is not matched by a corresponding increase in supply, and hence poses an inflationary threat. Such a threat needs to be countered, for otherwise it would undermine the value of money, which capitalism, being a pre-eminently money-using system, can scarcely afford; and it is countered by compressing the demand for such goods outside the capitalist sector. And this is achieved through a deflation imposed upon the money incomes of the people living on the tropical and semi-tropical land-mass, i.e. in regions that are “outlying regions” for capitalism. Such income deflation constitutes primitive accumulation of capital, and is calibrated to restrain the inflationary tendency facing the system. It entails ceteris paribus an increase in poverty, since the availability of a whole range of essential goods that cannot be obtained through larger production (because of the fixity in the size of the land-mass producing them) is ensured for the capitalist sector by squeezing their absorption by the people of the “outlying regions”. This means an increase in poverty in these “outlying regions” as an accompaniment of growth in the capitalist sector. Now, the theoretical reason why the displaced petty producers are not absorbed within the capitalist sector, should be clear: this non-absorption is itself a means of income deflation. Marx’s remark about capitalism generating wealth at one pole and poverty at another thus corresponds to the fact that capital accumulation and income growth in the capitalist sector is accompanied by income deflation and hence reduced per capita consumption of essential goods, notably, foodgrains, in the “outlying regions”. Growing wealth thus has growing hunger as its counterpart. The fact that this did not happen within Europe is usually misread as suggesting that this would never occur anywhere. But in conditions, such as those of the contemporary third world, where the emigration possibilities that had been available to European capitalism no longer exist, and which are themselves largely located on the tropical and semi-tropical land- mass the local absorption of whose products has to be curtailed, primitive accumulation of capital simply has one of two consequences. The first is the swelling of the labour reserves in the urban areas if the displaced or distressed petty producers migrate to cities in search of jobs. Such swelling labour reserves do not necessarily manifest themselves in terms of a rising ratio of unemployment in the total work-force; they typically make an appearance these days in other ways, such as growing casualization, informalization, intermittent employment, part-time employment, disguised unemployment, and such like. Employment rationing in other words does not take the form of some persons being wholly employed while others are wholly unemployed; it typically takes the form in the contemporary third world of most persons being unemployed for some time. The second option before the distressed petty producers is simply to remain in their traditional occupations, e.g. on the land they had been cultivating and keep taking cuts in their standard of living, since no alternative employment opportunities are available. In either case, whether they emigrate to cities or stay put in their original habitats, there is an increase not just in the extent of income and wealth inequality, which many authors including Thomas Piketty have noted, but also in the extent of the absolute level of poverty. Such an increase in poverty is reminiscent of what had occurred during the colonial times. A simple indicator of this in the context of India is the annual per capita availability of foodgrains. This amount which was about 200 kilogrammes at the beginning of the twentieth century in “British India” had fallen to 148.5 kilogrammes for the quinqennium 1939-44 and to 136.8 for 1945-46, just on the eve of independence. This was a massive drop, indicative of growing hunger and poverty over the last half-century of colonial rule for which we have estimates. Similar figures can also be cited for other colonies of conquest. This trend of increasing poverty and hunger was kept in check for a while after decolonization because the new governments that assumed office, while not doing away with capitalism (except in some countries like China that took the socialist trajectory), restrained nonetheless the “spontaneity” of capitalism through a whole network of controls, and also introduced hitherto-shunned measures of “land-augmentation”. Capitalism emerged from the war greatly weakened and had to make major concessions for its survival. These included political decolonization (though economic decolonization was a more contested affair), the introduction of universal adult franchise (which even in France came only in 1945), and the acceptance of “demand management” by the State to maintain high levels of employment. To empower the State to play such a role, the international economic system negotiated at Bretton Woods and introduced after the war permitted controls over cross-border capital flows and even restrictions on trade flows. In this ambience, the post-colonial State in third world countries, also sought to prevent primitive accumulation of capital in its classical form within their borders. The existing domestic or metropolitan capitalist sector was prevented from encroaching upon the domestic petty producers, with the State protecting the latter through a variety of measures (though landlords often evicted tenants to resume land for capitalist farming which too is a form of primitive accumulation, though not of the classical type and occurring within the agricultural sector itself). These included protection from world market price fluctuations; provision of subsidized inputs; provision of “remunerative prices” through market intervention by government agencies; public investment in agriculture and irrigation; government-funded research and development to develop better seeds, technology and agricultural practices; extension services by the government to spread such better practices; and controls on the entry of multinational agri-business into the countryside. This post-war arrangement , which did not correspond to what is typical under capitalism, did not last long. The outpouring of dollars from the U.S. on account of persistent current account deficits, necessitated by its new “global role” (which required it for instance to maintain a string of military bases around the world), was a major factor behind the concentration of enormous liquidity with big banks. They now sought the freedom to go all over the world to invest their financial resources. Since the Bretton Woods system which was characterized by capital controls, stood in the way of such a global reach, it had to give way for the institution of free cross-border capital flows that constitutes the economic essence of contemporary globalization. The neo-liberal regime that such “globalization of finance” has brought with it, entails a rolling back not only of Keynesian demand management in the metropolis but also of dirigisme in the third world, and a reassertion everywhere of the “spontaneity of capitalism”. This has also meant a reassertion of capitalism’s, spontaneous tendency to increase the extent of absolute poverty in third world economies, which neither have the emigration possibilities that Europe had in an earlier era, nor can pass the burden of impoverishment to “others” in the tropics and semi-tropics, since they themselves largely inhabit that region. Third world poverty is on the increase, and such increase in poverty has occurred even in economies experiencing impressive and unprecedented GDP growth under neo-liberalism. The period of globalization thus entails a resumption of primitive accumulation of capital as in colonial times, but with two crucial differences: first, the capitalist sector that imposes such primitive accumulation upon third world petty producers now includes not just the metropolitan capitalist sector but that located within the third world economies themselves (the two are now closely integrated). Secondly, linked to this and the fact of political decolonization, the assault on third world peasant agriculture (and on petty production generally) now occurs with the complicity of the third world State itself , through its pursuit of neo-liberal policies. These policies which open the economy to cross-border capital flows, including to free flows of finance, ensure that the State can do little against the wishes of globalized finance; for if it did then there would be a capital outflow bringing an acute financial crisis for that economy. Put differently, the world today is one where capital is international but the State remains a nation-State, because of which the State must willy-nilly follow the dictates of capital (to retain what is euphemistically called “investors’ confidence”) in order to prevent a financial crisis. Indeed as long as the economy remains caught in the vortex of globalized finance, the State has little choice in the matter, because of which, even if it had the best of intentions, it cannot institute the requisite controls to protect and promote the petty production sector as it had done earlier. It cannot prevent primitive accumulation of capital, and hence the growth of poverty. What is called the “agrarian crisis” that has afflicted several third world economies in the neo-liberal era and that has led to 300,000 peasant suicides over the last two decades in India alone, is nothing else but a reflection of this process of primitive accumulation of capital. While the increase in income and wealth inequalities within countries under the neo-liberal regime is quite indisputable, the suggestion that the ratio of persons in absolute poverty to the total population has also increased over this period will be severely contested. This is because official estimates in a number of countries and by the World Bank have given the exactly opposite impression, namely that the poverty ratio has been on the decline. Their claim however is based on the application of a wrong method which does not stand scrutiny . Since the World Bank has based its benchmark for estimating poverty on the “poverty lines” of countries like India and China, a critique of the latter is ipso facto a critique of the World Bank estimates too. We shall therefore confine ourselves to critiquing these “poverty lines”. Now, poverty in India, and much the same used to be the case for China as well, has been defined with respect to a nutritional norm, namely 2100 calories per day in urban areas and 2200 calories per person per day in rural areas. The “poverty line” for the base year was defined as that level of daily expenditure at which these norms just got accessed. This “poverty line” was subsequently brought forward for all subsequent years by using a Consumer Price Index; and the poverty ratio was estimated for all subsequent years by counting the number of persons falling below this line. Both in India and in China, the Consumer Price Index does not capture the increase in cost of living. An important reason for this is the withdrawal of government-provided cheap essential services, whose effects in raising the cost of living do not get captured by the index number of consumer prices. Since the increase in cost-of-living is thus underestimated by the official method, the poverty-line too is lower than what it should have been, which results in an underestimation of the magnitude of poverty. This was the reason why the Chinese government almost doubled its earlier poverty line from 3.5 yuan to 6.4 yuan in 2011. In India however, despite much criticism against the old poverty line, the changes in it have been rather inconsequential. If we directly estimate the number of persons falling below the calorie norms that define poverty (and such estimates can be made from the very same official data), then we find that the proportion of such persons in the total population has increased markedly under neo-liberalism. In India while this proportion in rural areas, where the benchmark was 2200 calories, was 58 percent in 1993-4, it went up to 68 percent in 2011-12 (the latest year for which we have data). The corresponding figures for urban India, where the benchmark was 2100 calories, were 57 and 65 percent respectively. Such an increase in nutritional deprivation, which is a defining characteristic of poverty, is also corroborated for India by the figures for annual net per capita foodgrain availability. This had declined drastically, as we have seen, in the last half century of colonial rule. After independence it went up from 148 kilogrammes for “British India” in for 1939-44 to around 180 kilogrammes for the Indian Union as a whole at the end of the 1980s. After the adoption of a neo-liberal policy-regime in 1991, it has declined despite an acceleration in GDP growth and now stands at around 165 kilogrammes. Neo-liberalism has clearly been associated with an increase in nutritional deprivation. This phenomenon, of growing poverty in the midst of high GDP growth poses a serious problem with regard to Left praxis. Let me turn to it now. The issue of praxis that arises in this context is the following: should the progressive forces oppose the primitive accumulation of capital occurring under neo-liberalism in the third world because it accentuates poverty? Or should they eschew opposition to it on the grounds that it is a necessary part of the process of development of the material productive forces, and of the transformation of society in a “modern” direction? This is an unprecedented dilemma, since, as already discussed, it never arose in the context of the advanced countries where emigration possibilities existed; and it did not even arise in the context of the third world countries, post-decolonization, as the dirigiste regimes there acted generally to restrain primitive accumulation in its classic form. And the inability to confront this dilemma has been an important factor in the decline of the Left in the third world under neo-liberalism, when one would have expected the very opposite to be happening. Two supposed theoretical pillars of Marxism have been used to tone down Left opposition to “development” involving primitive accumulation of capital. One derives from Marx’s famous remark in the Preface to A Contribution to the Critique of Political Economy where he talks of a mode of production becoming historically obsolescent only when productive forces can no longer be developed under it. From this a teleology is derived where progress is made synonymous with the development of productive forces. Opposing the development of productive forces on the grounds that such development increases poverty appears anti-progress and reactionary. This reading of Marx however is wrong, since it turns Marxism into a sort of “productionism”. It uses a formula derived from a mechanical reading of Marx to justify a process of primitive accumulation of capital and all the attendant miseries that it inflicts on the working people. 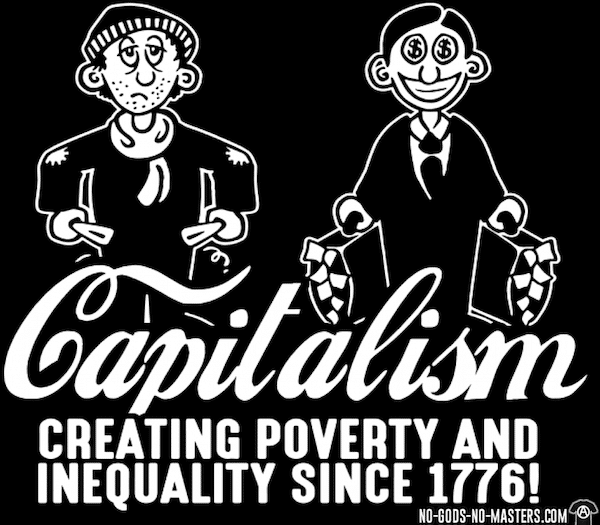 The historical obsolescence of capitalism, no matter what the case might have been with earlier modes of production, has to be assessed not with reference to its capacity to develop the productive forces, but with reference to the desire for human freedom and the awareness on the part of society that freedom is unachievable under this system. The transcendence of capitalism in other words is determined by the growth of human consciousness, informed by knowledge which Marxism itself provides. To make it conditional upon some marker like the pace of development of productive forces is to subscribe to a crude materialism of the sort to which Eduard Bernstein had subscribed, and hence to abandon all prospects of a transcendence of the system (since at no time can we definitively say that it has become incapable of developing productive forces any further), and with it of authentic human development. Interestingly, Lenin had never used this criterion, of the pace of development of productive forces, for his argument, advanced in the pamphlet Imperialism the Highest Stage Capitalism (2017), that capitalism had become “moribund”. In fact capitalism at the time of the first world war had been the means of introducing outstanding technological progress, such as automobiles and aeroplanes. What is more, the Edwardian Boom that had preceded the first world war had been a pronounced period of rapid economic growth. (Pre-war Russia actually had seen particularly impressive growth rates). All this however did not prevent Lenin from considering capitalism as “moribund” and its transcendence not only necessary but even imminent. He did so because of the fact that, in the era of imperialism, intense inter-imperialist rivalry had embroiled the world in destructive wars, and would continue to do so in future, in which the workers of the advanced capitalist countries, and the people recruited from the colonized third world, were forced to kill fellow workers and fellow colonized people, across the trenches, for promoting the interests of “their” country’s, or “their” master country’s, finance capital. Hence “productionism” never entered as a marker of the obsolescence of capitalism in the Marxist revolutionary tradition. To argue otherwise lacks substance. The second theoretical pillar of Marxism used for toning down opposition to primitive accumulation of capital, is its internationalism. No doubt globalization, it would be argued, has occurred under the hegemony of finance capital; nonetheless it represents a transcending of “nationalism”. Any delinking from globalization for fighting the impoverishment being unleashed upon the working people in the third world would mean a retreat into “nationalism” which is a reactionary step. This argument is questionable for two reasons. First, it treats all “nationalism” as one homogeneous category and rejects it as repugnant. It does not distinguish between the nationalism of the anti-colonial struggle in the third world and the nationalism invoked by those engaged in the imperialist project, between the nationalism of the liberation struggle and the nationalism of the aggressors, between the nationalism of a Gandhi and that of a Hitler, thereby displaying a singular lack of sympathy for anti-colonialism (P. Patnaik 2016). The nationalism of the anti-colonial struggle was a unique phenomenon and differed from the nationalism that came into vogue after the Westphalian peace treaties in Europe in at least three ways. First, it did not put the “nation” above the “people” as bourgeois nationalism in Europe had done; on the contrary since it came into being in opposition to the colonial exploitation of the people, its raison d’etre lay in defending the interests of the people. Second, since it sought to unite a diverse people against the might of imperialism, it was inclusive, and did not identify an internal “enemy” like the Jews, or some other minority. (“Hindutva nationalism” does precisely this and is therefore fundamentally different from anti-colonial nationalism, being more akin to European nationalism). And third, while bourgeois nationalism in Europe was aggrandizing, and sustained the imperial project, this was not true of the anti-imperialist nationalism. (Whatever aggrandizing streak existed within the third world bourgeoisie was restrained by the fact that the anti-colonial “national” struggle was a multi-class struggle, even when it was led by the bourgeoisie). Such anti-colonial third world nationalism has been supplanted over much of the third world by narrower nationalisms of various sorts (of which the Hindutva nationalism in India is an obvious example). But that phenomenon, which I believe arises because of the conflict between this inclusive nationalism and the pursuit of the capitalist path of development that is inherently inequalizing, does not negate the essentially progressive nature of third world nationalism. It is not surprising that Lenin was sympathetic towards it, as is evident from his remarks (1973, pp.182-188) on the arrest in 1908 of the Indian nationalist leader B.G.Tilak (who being an early nationalist did not even espouse the inclusive nationalism that came to inform the anti-colonial struggle later when it took off in the 1930s, fuelled by peasant distress during the Great Depression). The second problem with the argument against delinking is that it is oblivious of the condition and the role of the third world peasantry. If globalization, which represents a kind of “bourgeois internationalism”, is to be fought not by a nation-based worker-peasant alliance, but only through an international struggle, then that entails waiting almost indefinitely, while in the interim the peasantry would have got distressed beyond description. Those who think otherwise perhaps base themselves on the misconception that the European experience is generalizable, that primitive accumulation brings only transitory distress to the displaced petty producers who eventually get largely absorbed into the active army of labour employed by capitalism. But since this is a misconception, the struggle against primitive accumulation has to be joined with immediate effect. But there is no international working class struggle as yet, let alone an internationally-coordinated peasant struggle. Hence waiting for an international struggle to build up against globalization is not a practical alternative. Put differently, an international worker-peasant alliance is nowhere on the horizon. On the other hand the prospect of a worker-peasant alliance within countries and the emergence of a new State based on such an alliance, which delinks itself from globalization in order to stem the process of primitive accumulation of capital, and thereby paves the way for an alternative trajectory of development that goes beyond neo-liberal capitalism, is well within the realm of practical possibility. To be sure this would not be an easy task. The domestic capitalists are integrated into the process of globalization and would constitute a formidable opposition to any such delinking. The enormous transitional difficulties that any delinking from globalization will bring, will undermine the popular base of the struggle; and the peasantry and other petty producers in whose defence the struggle will be conducted are imbued with a consciousness that is permeated by patriarchy, caste-hierarchy, and superstition, which together represent a massive stumbling block in the path of any progress. Notwithstanding these difficulties, the direction of praxis is clear: it must be to oppose primitive accumulation of capital which hurts not just the peasants and the petty producers, but the workers as well through an enlargement of labour reserves that reduces their bargaining strength. It must be towards building up a worker-peasant alliance to transcend neo-liberal capitalism which has only brought greater absolute impoverishment to the working people, even where it has caused supposedly high GDP growth. Bagchi A.K. (1972) “Some International Foundations of Capitalist Growth and Underdevelopment”, Economic and Political Weekly, Vol.7, Issues 31-32-33, August 5. Lenin V.I. (1973), “Inflammable Material in World Politics”, Proletary, No.33, July 23 (Aug.5), 2008, reprinted in Collected Works, Vol.15, pp.182-188, Progress Publishers, Moscow. Patnaik P. (2016) “Two Concepts of nationalism” in What the Nation Really Needs to Know:The JNU Nationalism Lectures, ed. by R,Azad, J.Nair, M. Singh, M.Sinha Roy, Harper Collins India. Patnaik U. (2013) “Poverty Trends in India 2004-05 to 2009-10”, Economic and Political Weekly, Vol48, No.40, Oct.5. Robinson J. (1962) Economic Philosophy, C.A.Watts, London. The discussion that follows is based on U.Patnaik (2013).